You consider creativity and innovation to be the key element of your success and you need a workspace that facilitates creative collaboration and reflects your unique culture. Main objectives: encourage creativity at work and accelerate innovation projects. 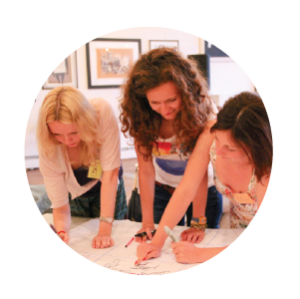 You want to unleash creative potential of your students or deliver innovation trainings differently and you need the right space to inspire learners to discover, play and experiment. Main objectives: ignite and nurture curiosity, develop creative thinking and innovation skills. 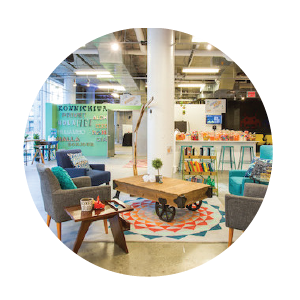 Your space is designed for creative minds and entrepreneurs who like to work differently! 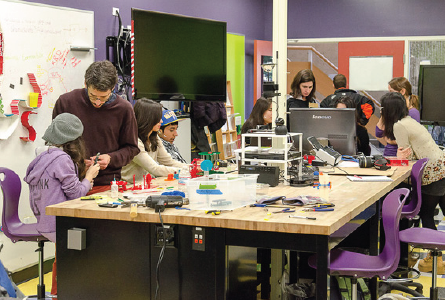 They need inspiring spaces to work and focus, to think and prototype and to collaborate and share. 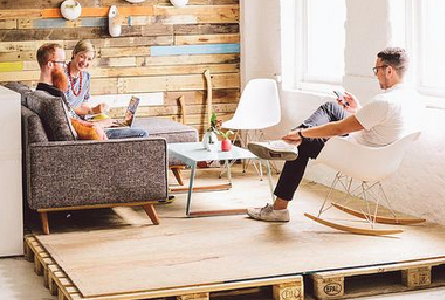 Main objectives: offer great spaces for thinking, working and experimenting. Your business clients want to organize strategic discussion, innovation workshop or conference and you want to differentiate yourself by offering a creative space for this type of events. Main objectives: become the most demanded venue for innovation events. 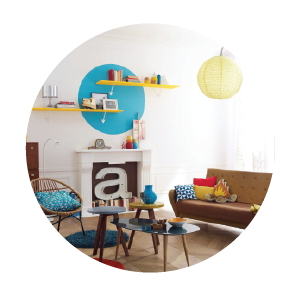 We help you to rethink the way you work, create and collaborate. 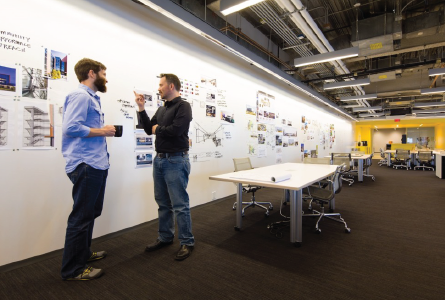 We design spaces for better thinking, learning and innovating. 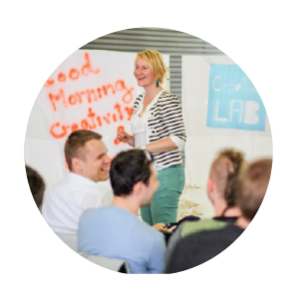 We deliver engaging workshops, seminars and innovation labs. It’s not about creative space. It’s about making space for creativity. 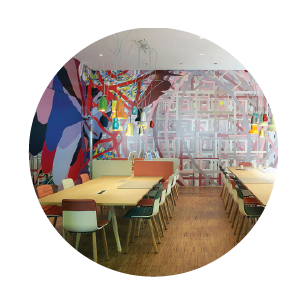 Imagine a workplace where each space is designed for a different creative activity. A workplace that allows you to both concentrate and collaborate, and is a combination of a playground and a creative studio. 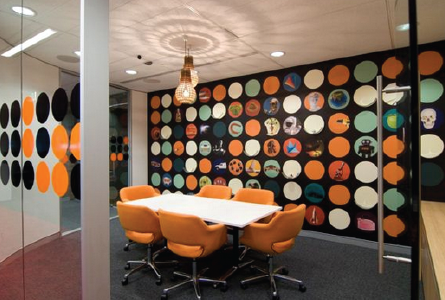 Inspiring Spaces stimulate our curiosity, imagination and foster creative thinking at work. 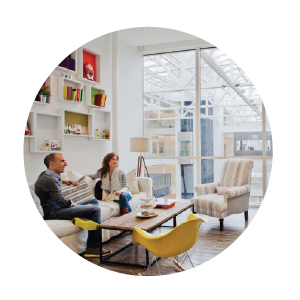 Collaboration Spaces are designed for ideation workshops, project team discussions and sharing. Playful Spaces allow us to get disconnected, try something new and think while having fun. 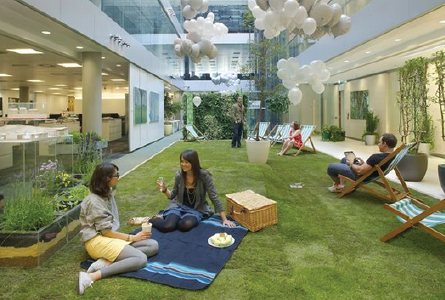 Thinking Spaces enable us to focus on a complex task, concentrate or do strategic thinking in the office. 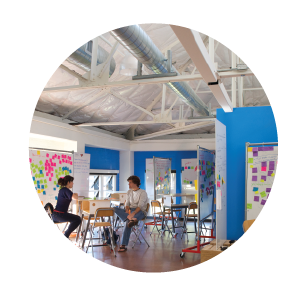 Agile Spaces are designed for start-ups and teams using visual management and agile methods. 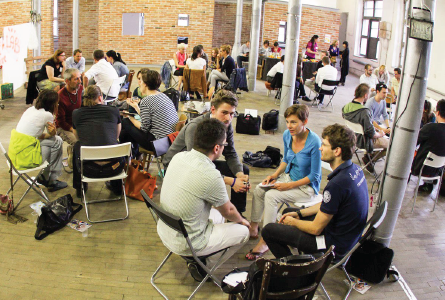 Our seminars and workshops help to create new behaviors and develop skills of innovators. Do you have a project? Tell us about it.